Amazing update with a travertine pool deck. Scottsdale pool remodeling. Like everything else in and around your home, after a while pool decks either require too much maintenance or simply need replacing. You can quickly turn outdated and drab to fab with a new travertine pool deck. Scottsdale pool remodeling by Desert Crest offers your entire backyard a fresh, exciting set of options. 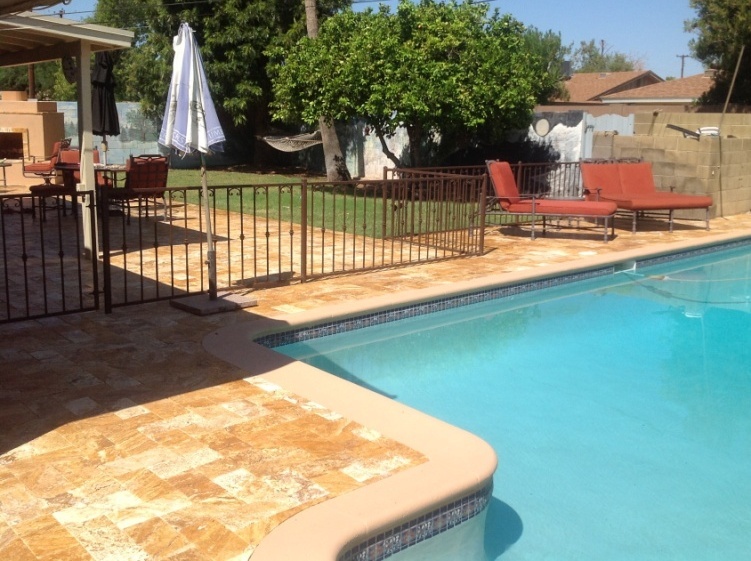 Just look at the difference made in this client’s yard by replacing the old cool decking with gold travertine pavers, new color coordinated pool coping, and a more interesting pool fence. It gave their entire outdoor living space personality plus. We’d love to help you turn up the charm and appeal factor in your backyard too. Looking for more than partial renovation like pool decks? 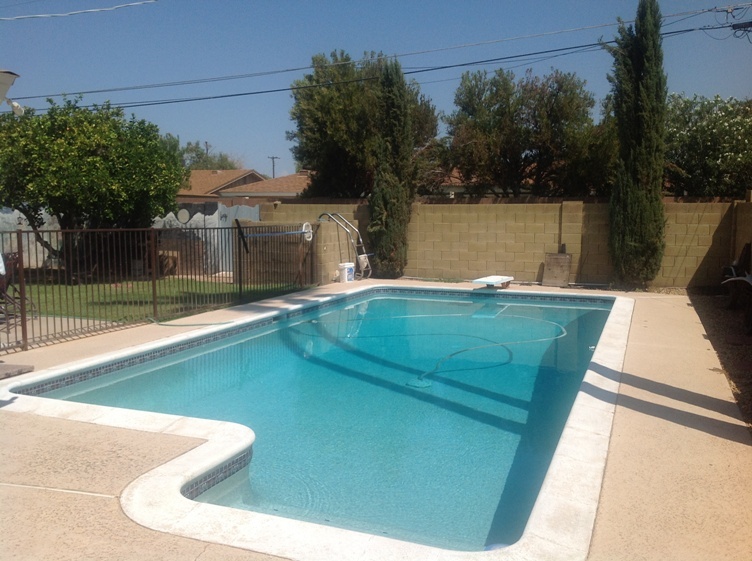 Scottsdale – Phoenix pool remodeling to complete new pool installation available.